Madonna's debut perfume, Truth or Dare, is a flirty, feminine concoction of white florals and caramelized vanilla -- a tribute, the star says, to her mother's love of gardenia and tuberose. With celebrity fragrances now a standard cash-in for movie stars and reality show wannabes alike, fans may wonder what took the business-savvy pop icon so long to jump on the signature scent bandwagon. But judging from the demands the infamous bossyboots made on her perfumer Stephen Nilsen, it's a marvel Truth or Dare even got made at all. For more on the creative tap dance between the perfumer and everyone's favorite bossyboots, check out my Guardian interview with Nilsen here. Truth or Dare is a respectable budget reworking of Fracas by Robert Piquet: not as complex as that classic, but still a heady blend of narcotic florals -- made more palatable for today's perfume pop charts with a slosh of gooey caramel. I tried this, as it's one of the few perfumes I have access to on my sand dune. It is AWFUL! I like and respect Fracas, though I never wear it. I wore Manoumalia. I adore Amaranthine. I wear real tuberose infused with real vetiver, made in India in degs. I am no coward when it comes to white florals. But this one made me cough, and it made my kids cough and make the wrinkled face. Nuf said. Marla, if you're wearing real tuberose and vetiver, TorD's pretend gardenia/jasmine with a slice of caramel ain't gonna cut it. And you can't argue with the dreaded wrinkle-face. Manoumalia and Amaranthine are fantastically humid and complex creations, and TorD is nowhere near that interesting or challenging. But I'll give it credit for being a mass-market/drugstore celeb frag with more of a bone structure than "mushy juicebox smoothie". SE USA, so I have access to the real white florals (gardenia, magnolia, jasmine, osmanthus, tuberose, ylang ylang) pretty much year-round. So yeah, I am spoiled rotten when it comes to white florals, and I don't much like the synthetics. I think if TorD were very lightly sprayed on the right person, it might smell like a nice Fracas Lite, and wouldn't get the Wrinkle Face! I hope so, because I was glad to see it wasn't just another bland fruitchouli. I read a bunch of decent to good reviews of T or D from bloggers who I like, so I decided to test spray this on my hand. The results were similar to Marla's. I too did the wrinkle-face. Then, I did the "hold my hand as far away from my nose as possible for the rest of the day" dance. It has some of my dreaded spiky woody-amber and/or sinus-coating white musk synthetic notes. Nuff said. Give me Amaranthine. Even give me Fracas. To which, I believe, it bears no real resemblance. Well m61, you're an expert perfume-lover I like, and with your and everyone else's appalled reaction to Truth or Dare here, I was compelled to wear it again to "check my work". It's simultaneously sharp and round, and indubitably sweet. It's a candy-sweet white floral for those growing up with Juicy Couture edp and Michael by Michael Kors -- the kids who are still several miles away from being able to appreciate Amaranthine or Manoumalia. That was my mental framing for my cautious O.K., anyway. I should say that I admire the attempt to lean away from the sugared fruit formula that typifies the majority of celebrity scents. I don't hate celeb scents in theory. I just dislike their relentless sameness and mediocrity. The Kardashian fragrance was another reasonable attempt to change the script. But TorD had a note (or two) that was very bothersome to me, at least on the day that I tried it. Yes, truthfully I'm with you. When I take off my "trying to give things a fair shake" hat, TorD is not a perfume I would wear more than once if I didn't have to. But you probably haven't forced yourself to try the dreadful Clean line of perfumes. Talk about fork-in-the-frontal-lobe white musk! Haha the clean line! I only tried one of them, after having read the denouncement of them in the guide-one of those spotchecks to get an assessment of the guide's overall mapping of the perfumery landscape. It made me want to throw myself on the floor and scream 'get it if off me; get it off me' at the sales assistants. 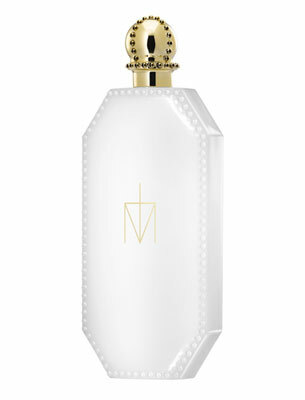 I don't know why the tentativeness of Nilsen on commenting on Madonna's mother having worn Fracas: Madonna stated at the Macy's launch that her mother wore Fracas, and she wanted to create a fragrance that reminded her of how her mother smelled. I wonder what she wears now that she has created that fragrance. Somehow I get the feeling that she's still visiting the Robert Piguet counter, or alternatively that of Annick Goutal, for Gardenia Passion, which is supposed to be her other loved fragrance. When it comes to these type of fragrances, Truth or Dare is very low in the pecking order and the main selling point is price, so if you had the money, why not the higher options (that's without even mentioning Carnal Flower's uniquely green take on tuberose). Yes, Nilsen was very guarded in my conversation with him re the Fracas origin of TorD, which I thought was odd, too. Maybe as the perfumer, he can't fess up to using another perfume as the springboard? Anyway, I'm wondering if the release of a Madonna perfume at this late stage was entirely misjudged, including the fact that it's a youthified white floral. White florals don't seem to be clicking with teenagers, if the "old lady" complaints about the Kim Kardashian perfume are anything to go by. I think also people see celebrity perfumes as a personification of the celebrity that has created them, and that that is also likely to make it a misjudgement. A White floral Madonna is certainly not (though, post-Evita, she might like to thinks she is), and as perfume types go (especially in the diminutive form of another perfume, as with Truth or Dare) it is one of the least edgiest, and certainly not an appropriate approximation of the woman herself and all her facets (pleasant and otherwise). I would have liked to seen her do a high-end, money no object Malle type perfume, with considerably more involvement in its creation, and for the perfumer's remit to have been to create an olfactory portrait of her. Wouldn't that be interesting? Just taking the Malle line as an example, I'd link Madonna to Dans tes Bras: contrived sensuality, softness with a metallic, hard edge. A pun on Bras maybe? Haha - that pun was staring me in the face like twin pointy-cone c-cups, and I missed it! I try to stay away from celebrity fragrances. I have not smelled one I like and the packaging is always so gaudy. Madonna, and every other celebrity polluting the fragrance world, should keep their day job. Most celebrity perfumes are pretty cynically hacked out as a quickee cash-in. But I still maintain that Lovely by Sarah Jessica Parker is fine, and that Dita Von Teese's debut edp is ultra pretty. Some of them are okay, but Lovely is the only one that I've tried that I liked enough to purchase. I was also very annoyed to find out that I liked Jennifer Aniston's perfume. I was ready to let loose with the mockery. Somedays all I am is a big ball of stifled mockery. Yes, Just Bea Yoga, I stay away from all celebrity fragrances. I have also learned to stay away from hightly advertised juices with smell strips in magazines. I feel quite lucky to have learned early in life to enjoy Guerlain products such as "Jicky", "Vol de Nuit" and "Shalimar". There are a few others that I love, but I have made unfortunate purchases too, one that smelled like the praline candy my mother made. Who wants to smell like candy? Not me. "Fracas" is a nice perfume worn in tiny amounts. It's quite complicated and I can't imagine that anyone could make something that REMINDS one of Fracas. For what it is, and for its price, I think that it was well-done. No wrinkle-face here. I just found it boring. Would have expected something along the lines of MKK from Madonna. I don't mind when celebrities who actually wear and enjoy perfume decide to do their own. Hell, I'd jump at the chance. Madonna's perfume use and preferences have been speculated on by just about every perfumista I know, so I like to think she thought about it a lot. I didn't hate T or D. It reminded me of about ten other fragrances out there, but it wasn't a scrubber. Now those ding dongs out there who don't wear perfume but want to have their name on one? Those celebs should be buried under a pile of civet for a week. Must admit, though, that I'm dying to try Fame by Lady Gaga! Black juice? I'm in! Ha: "buried under a pile of civet for a week" - even a civet would hate that! Re Fame's black juice, at first I thought they were going for the disappearing ink effect of Wode's blue juice. But then when I heard it was only back in the bottle, I wondered what the difference was between Mugler Alien's purple juice or Angel's blue juice. Perhaps it's more opaque, like the inside of a Magic 8 Ball? We shall see. I assumed that it was the same effect as Wode's blue juice too. The back of the package says that it loses the colour when airborne, so I thought it was just a reaction between the dye and oxygen that made it lose its colour. Anyway, we'll see. I've never smelled Sarrasins by Serge Lutens (if you have please let me know what it smells like, Katie) but from the description of the gaga juice (and the darkness of the juice itself) I did wonder if it was going to be a knockdown version of that. Btw the description of the juice itself said it contains belladonna (or that 'note')? Can anyone clarify whether belladonna is actually used in perfumery? I'm sure that that pretty much all of the deadly nightshade plant is poisonous (I have a friend who ate some berries from it as a child who can attest to their toxicity) Is this just a metaphorical description or what? Having just researched "belladonna" on the Internet for 5 minutes, I am now an instant expert. You're correct, every part of the plant is poisonous. And every description of its odor includes a word like "foul", "nauseating" or "acrid". Belladonna is also listed as a note in Illamasqua Freak, and that was a little baby lamp frolic through spring flowers, as far as I could discern. As I mentioned in my Freak review, Gaga's people weren't just sniffing around the use of the name "Freak", it seems they helped themselves to the poisonous flowers...metaphor. I don't like tuberose, that's a fact, but I respect Fracas and Carnal Flower. Maybe one day I will be able to wear one of them without cringing. But I don't have hopes for ToD. Excuse me for the prejudice, but it's just another mediocre and synthetic celebrity scent. Makes me wonder if said celebrities really wear the fragrances that bear their names. Probably some of them do, not everyone is a fumehead (and this is what makes us so special). This said, my encounter with ToD was brief, on a paper strip, which was sniffed too soon and let the juice touch the tip of my nose. It was a terrible mistake, since it stood there even after 2 Clarisonic cycles. BUT it does have a positive side... at least it's not another generic fruity floral. I am very disappointed with all the current releases (celebrity or not). But there are still too many classics to be discovered and that's what I chose for my nose... yesterday I found out that I love Mistouko, Mitsouko loves me and we will live happily ever after. Oooowwweeee Mitsouko. Forever and ever! I guess it will come to my shores soon (Australia) but ... I have to say that I am not fond of the bottle - sort of looks "cheap" to me. I love Fracas so will be interested to get a sniff of Mad's offer ! I wonder how appalled you'll be, on a scale of one to ten? let that influence my opinion before giving a fragrance a sniff. I'm still in the learning process and I'll admit I didn't pay attention to Truth or Dare because it's Madonna's. I love Madonna. I just didn't think I'd like a perfume from another celebrity. You say it's like Fracas, eh? Eh, I'll give it a try. Give it a try to keep tabs on the celeb scent scene, but if you love Fracas, I'd like to point in the direction of a lovely tuberose-y thing that's fast disappearing of the Internet since it's been discontinued: Tom Ford Black Orchid Voile de Fleur. It's a lovely number. Today I went to the store to get a sniff of Lady Gaga's perfume, which one of my friends was raving about. To me it smelled like grape kool-aid, which I was not expecting but hey to each their own. Then I wandered around the fragrance counter for a while and ran across the Estee Lauder Private Collection Tuberose and Gardenia. MAN! That stuff smelled amazing. It was complex and rich and I wanted to roll around in it. The sales woman called over the Estee Lauder rep, who at first thought I was talking about Sensuous, which isn't bad either, but then when she realized I was talking about the Tuberose and Gardenia and had to launch into the story about Aerin Lauder creating it blah blah blah but we were all cracking up because I knew if the story was a requirement then the price was going to blow my hair back. Hi Heather, thanks for the early intel on Fame! Grape Kook-Aid, eh? That sounds like Couture Couture by Juicy Couture, as I recall. Interesting that you're bringing up the beautiful Tuberose & Gardenia, because that (along with Tom Ford Voile de Fleur) is the perfume I recommend to Fracas lovers who want to switch it up. Estee Lauder does a pure parfum version, mmmm-mm! That's the hair blowback-priced one, for sure. I have tried many Gardenias and have to say not only was this strong, but extremely flat. Solid one note. I could not get any of the dimensions of the other notes. It stayed on me like a single note perfume. So I don't think it is worth buying. I like to experience a fragrance that you can capture bits of everything, like a symphony. You're right. It's not a symphony, it's a ring tone.